So, the EU was taught a lesson that the enemies of democracy will never stop deceiving democratic bodies in order to remake democracy after theirs pattern. So, democracy cannot prevail without vigilance. “Be vigilant, Europe!” – says this lesson. An Intellectual Exercise for August What’s Coming Next? August has an almost “mystical record” in Russia. Since 1961, if “something big” happened, it happened in the month of August. And since 1986, “something” has happened almost every August. The first on record was the erection of the Berlin Wall on the 13th of August 1961. Then there was the invasion of Czechoslovakia on August 21, 1968, the sinking of “Admiral Nakhimov” on August 31, 1986, and then we witness practically, non-stop, repeating August disasters that were capped off by the firestorms of August, 2010. There were 7 technology disasters (sinking ships, crashing airplanes, derailed trains, exploding turbines), five major terror acts, two military interventions (including the Russian Georgian war in 2008), which happened or were staged in the month of August since 1986. But the highlight is certainly the 1991 coup in Moscow, exactly 20 years ago this August. Millions of Americans enjoy watching the game-show “Big Brother”. 14 volunteers are enclosed in a house for 14 weeks. Nobody has the right to leave the house, only once a week one housemate will be expelled from the house by decision made by the remaining fellows. The last one, who has survived 13 eliminations, wins $ 500,000. 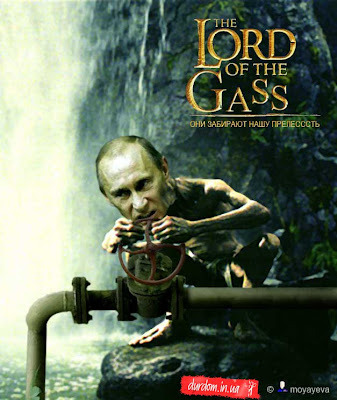 This game is a reality in Ukraine. The Party of Regions is a combination of two factions. One faction, a criminal faction, is frankly pro-Moscow faction. The second faction is an oligarchic faction. It is a pro-European faction. 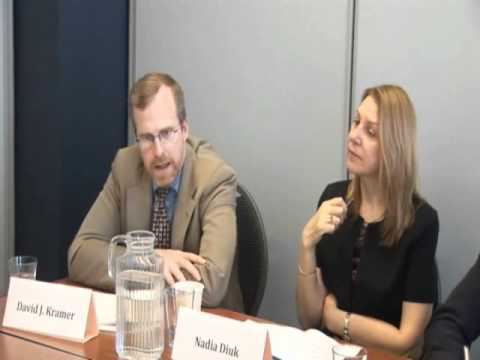 Video of the roundtable discussion with David J. Kramer, Executive Director at Freedom House and Damon Wilson, Executive Vice President at the Atlantic Council took place on June 24 at Freedom House. Moderated by Nadia Diuk, Vice President at National Endowment for Democracy. The event organized by the U.S.-Ukraine Foundation. Whether the “pragmatists” within the Party of Regions are able to maneuver the country towards more flexible “multi-vectored” politics is not yet clear. On one hand, they face a very strong Russian political, economic and intelligence lobby within their own ranks. And on the other hand, they have already given too many trump cards to Moscow, lost too many possible allies, and made too many enemies both within the country and abroad. And even if they manage to shift their politics towards a “multi-vectored” foreign policy, it would not signify any authentic European integration.